My girlfriend has a big dog. Not your run of the mill 120 pound German Shepard or something. No, I'm talking big, Like, they don't get much bigger than this. So I thought to myself, what would happen if I tried to use him in a photoshoot? Well, first off, the results were fantastic in my opinion. Corbin was an incredible model and also was able to bring along a personal wardrobe that many menswear stylists would be jealous of. So today, I wanted to share with you some of the photos we created, as well as some helpful tips on working with animals in your own work. Jackson is a Great Dane. If he was an article of clothing, you would only find him in the Big and Tall store. XXXXXL! Coming in at around 170 pounds and standing almost as tall as my chest. And the best part is, he is still a puppy! In my opinion, a large animal works the best for photo shoots. They are easier to fit into your compositions and your subject does not have to bend down or pose awkwardly to interact with the animal. This is Corbin. 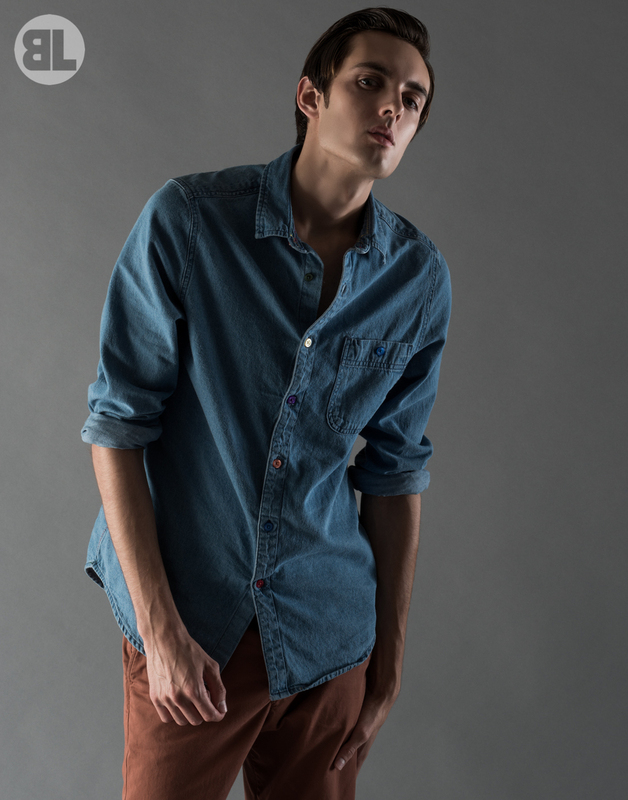 He is a male model currently residing in Los Angeles and focusing on his acting career. He made a trip down here to Houston to visit family and we decided that a photo shoot was in order while he was here. The great part about working with actors is they really understand direction well, and can emote exactly how you envision. Fun fact: Corbin appears as an extra in the new Star Trek: Into Darkness movie! To prepare for the photo shoot, we worked with Jackson on his basic commands (sit, stay, etc.) and we just so happened to be going through a training course to work on his obedience. So we picked up a few tips along the way from them. 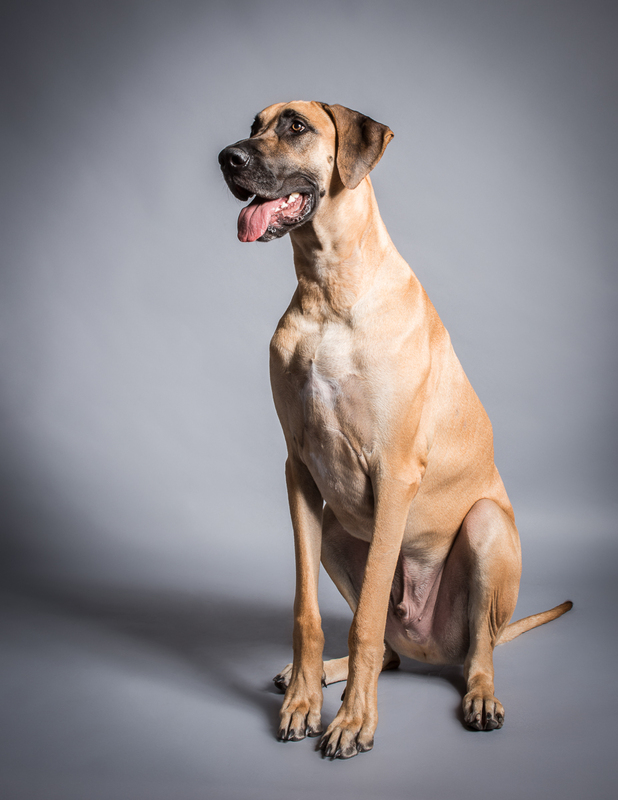 I also suggest, if you are wanting to use your animal for any sort of Photography, get them used to the lights and various studio sights, sounds and smells before hand. We had some issues with him responding to commands due to this. But then again he is still a puppy and will only get more comfortable with time. I also stopped at a local furniture store to pick up a chair to use for the shoot. I had a specific shot list in mind before hand so I knew exactly what I was needing as far as a prop went. Another big thing to keep in mind is patience. I had Corbin get into a pose I was happy with, get the lighting where I wanted it, and then we brought in Jackson. I asked Corbin to hold the pose and then basically shot away until Jackson was in a satisfactory pose as well. This may take 2 shots or 20, it really depends on the attitude of the animal and how comfortable they are. If you are finding that they are just not cooperating like you want, take a 15 minute break. Animals get tired mentally quickly, so it is best to work in short bursts with breaks in between to allow them to rest. The results will be much more to your liking. We would shoot the animal shots and then let him rest while we shot the upper body photos and some solo full body shots and then would bring him in and try again. We did this for each clothing change and it worked well for us. So in conclusion I leave with you the following tips. 1): Work with the animal weeks before hand if possible to get them used to what you are hoping to accomplish with them. If you are hiring animal talent from an agency this will probably not be an issue. But if you are sourcing the animal from the public it helps to know how the animal behaves and reacts to various commands. 2): Don't forget to tell the rest of the team and talent that you will be working with an animal. You don't know who is allergic or uncomfortable about the idea and it is best to get it all straightened out beforehand. 3): Patience is the key, for everyone on set. You really have to work around the animals schedule and temperament and allow plenty of treat breaks. 4): Allow the animal to wander around and check out the set and studio. Get them comfortable with the lights and sounds of the studio. Try to remove any unwanted distractions if possible. Ask the rest of the team to be sitting still and stay relatively quiet while the animal is on set so they can focus their attention on the handler. 5): Have fun! Working with an animal can be extremely rewarding and I think this may have been my favorite shoot to date for that very reason.